Let’s set something straight first though. I’m not a big fan of comic book movies. I don’t know much about comic books other than the series I read as a kid (X-men and TMNT). There isn’t a huge appeal for me in watching costumed heroes with super powers (or super suits in the case of Mr. Stark) beat up the world’s filth. It probably ties in with why I didn’t care much for any of the Greek mythology in college, but I digress. I can appreciate a good genre movie, and a comic book movie is one such film, so long as I am given context within the film itself. I should not have to rely on outside information before plopping myself down in front a screen and pushing play. So, if in the following passages I have somehow missed the point of Thor, or have misinterpreted it, this is the reason. I think the biggest problem of the whole movie was the earth arc. Nothing about it fit with the rest of the movie in any meaningful way and almost all of that fault lies with one person: Natalie Portman. My problems with Portman and her character lie in three reasons. First, no one who looks like Natalie Portman is a particle physicist, let alone one that works on fringe theories in the desert. The other girl who was with the scientist group, the one with the iPod, would have made a much more convincing scientist. In fact, if the roles of the two females had been reversed, it would have helped immensely. Instead, every time Portman opened her mouth to say anything jargony, my suspension of disbelief streaked and ran under the couch. 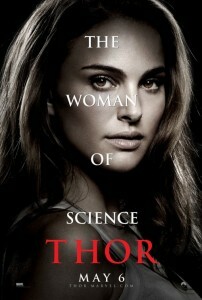 Second, Portman’s character is completely forgettable. 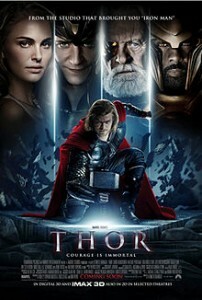 She is one of the four principal actors in this movie, the others being Thor, Odin, and Loki. And yet, I can not for the life of me remember her character’s name. Sure, I could go look it up, but I saw this movie not a day ago, and I should be able to remember the love interest’s name. The lack of any kind of character developement for the lead female is really disappointing. She doesn’t change or face any kind of adversity. She starts out as just a girl who had her heart-broken recently and ends with “I gotta get my hands back on that huge hunk of a man.” Which leads me to the worst bit. 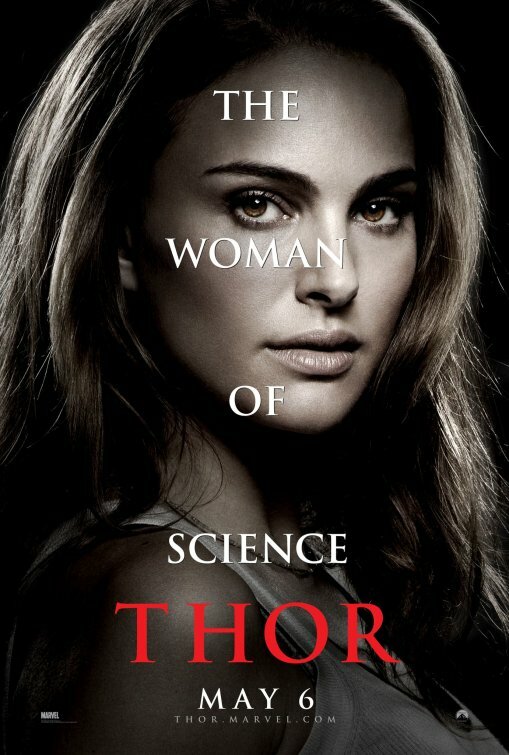 Third, the love story between Portman and Thor is the least believable I’ve seen in a very long time, at least in American media. Thor is banished and in the space of two days comes to love this woman enough that when he is trapped back on Asgard, unable to reach Earth again, when he is now crown regent in a world built on warrior culture and beautiful warrior women, at least one of whom is his close ally, he pines wistfully for a mortal he spent an hour with in a truck. I’m supposed to buy that? Portman’s side I can see, as described in point two, but Thor literally spent like three hours of in movie time with this woman. One hour in truck ride to the crater, one hour giving her journal back next to the fire before she fell asleep, and one hour helping make breakfast the next morning. That is it. The problem with the love story brings down a hammer (so to speak) on the redemption story. 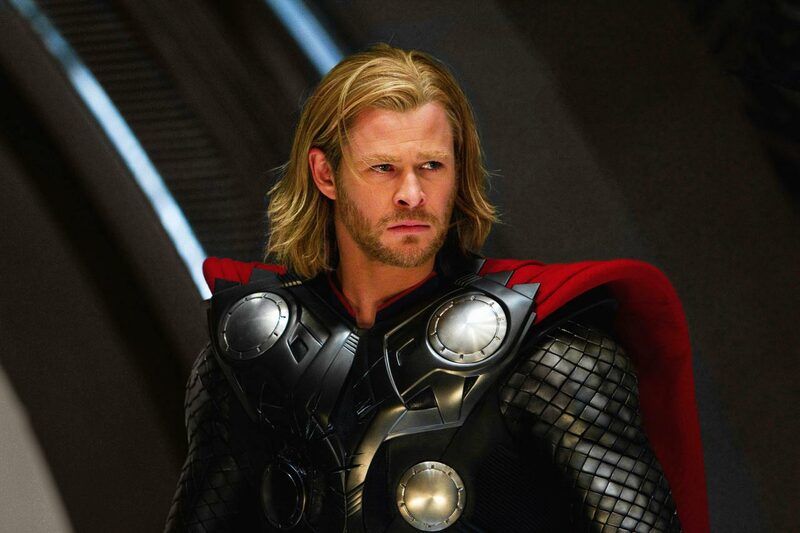 Thor is redeemed when he sacrifices himself to save others in the battle with Loki’s assassin-bot. If we discount that he could have reasonably fallen for some earth woman in less than two days, the only reason he would have sacrificed himself was for his wounded friends. Which, in my mind, he totally did. And why shouldn’t he? That kind of heroism drips with Norse undertones. We could have done this anywhere else if he saves his friends from Asgard. They could have had an adventure on another world of fantastic origin, maybe battle ice giants, or perhaps go after a giant wolf. Anything else. Instead, we’re given this flimsy, shoe-horned scenario on Earth. Why? The reason is simple: Avengers tie in. How else would they get Thor back to Earth? He needs a good reason to come back and fight for this mortal world after all, why not a love interest. Again, I don’t know anything about the comic book character, but personally, I can think of all kinds of reasons. He could want to fight for a just cause now that he is king of Asgard. 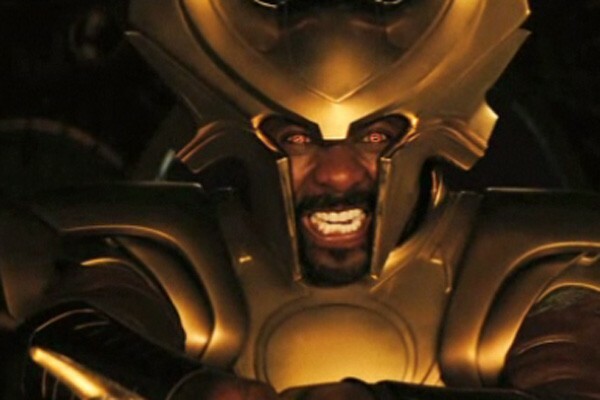 Maybe he feels responsible for letting Loki go at the end of the movie and must come defeat him on Earth. Maybe Earth poses a threat with its silly Shield people doing things they don’t understand and Thor must guide them before they do something really dumb and in the process they become allies. Really, it could be anything. But what do we get? He wants to be with his little mortal girlfriend. Sad. Shout out to the most likable character in the film. 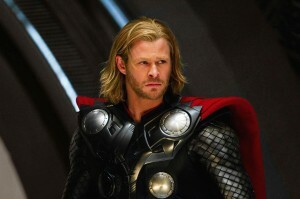 All in all, I think Thor was worth the time I spent watching it mindlessly. If you like the comic book movie, its alright I guess. If you’re a fan of Norse stuff, there’s a ton of little references that I really enjoyed. Just be prepared to be completely underwhelmed by a flimsy love story and an unconvincing hero’s journey. Here’s to hoping the Avengers fixes a lot of these missteps.